Amino AcidsScitec Amino 5600 - 200 tabl. Scitec Amino 5600 - 200 tabl. Complete formula of amino acid! It provides your muscles with everything they need for efficient regeneration and growth! 42 loyalty points Your cart will total 42 points that can be converted into a voucher of 1,68 PLN. Scitec Amino 5600 - 1000 tabl. Scitec Amino 5600 - 500 tabl. The proposed formulation is a rich source of all amino acids that are necessary for proper regeneration and growth of your muscles! Essential amino acids are essential for the proper functioning of the body and must be supplied with the diet because the human body itself can not produce them. Branched chain amino acids (BCAA) belong to the essential amino acids and constitute about 35% of the amino acids of muscle cells. To ensure optimal results Amino 5600 is made from high quality whey protein. COMPLETE formula containing all essential amino acids. 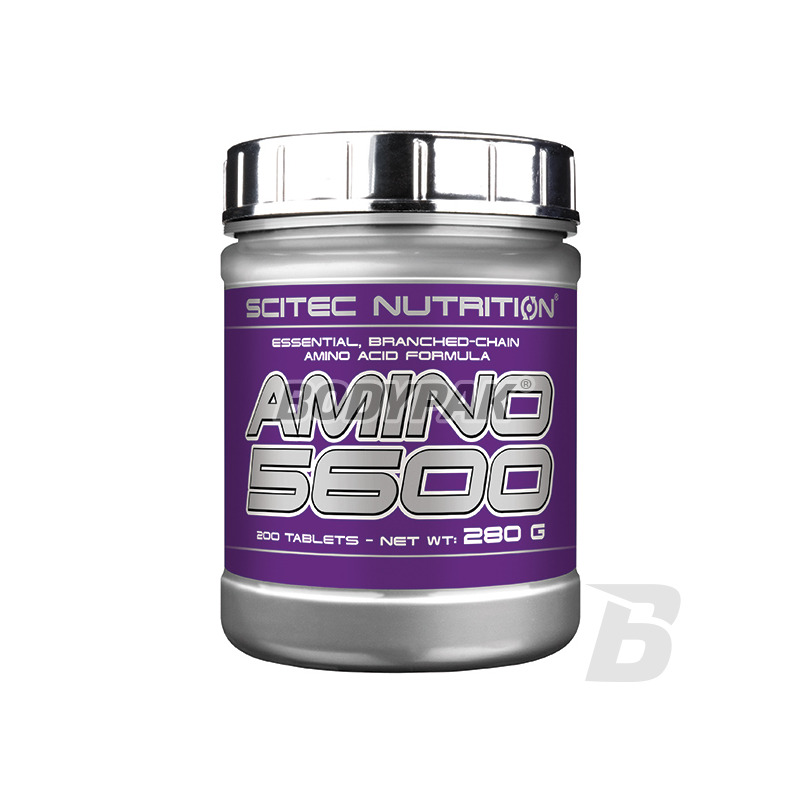 Scitec Amino 5600 - is a blend of essential amino acids, which support maximum muscle growth and maintenance of muscle tissue during dieting or extremely long training sessions. Amino 5600 is manufactured from high-quality protein to ensure optimal results. 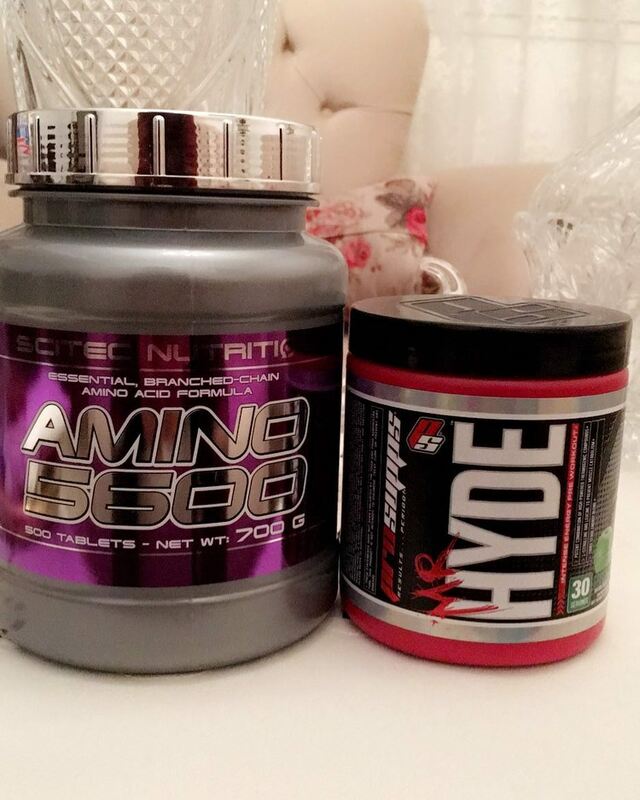 There is a great amino-day, by being subjected to hydrolysis were divided into groups so that the peptide show a strong anabolic effect. Each tablet provides a powerful dose of amino acids, which must never be lacking in the diet of any athlete. Due to the specific manner of absorption into the bloodstream Amino 5600, supplement works best when used on an empty stomach and without food. Amino acids are extremely important part of the diet - provide the energy needed for proper muscle, are the building blocks from which are built muscles, reduce catabolism, or muscle breakdown during exercise, hunger and stress. 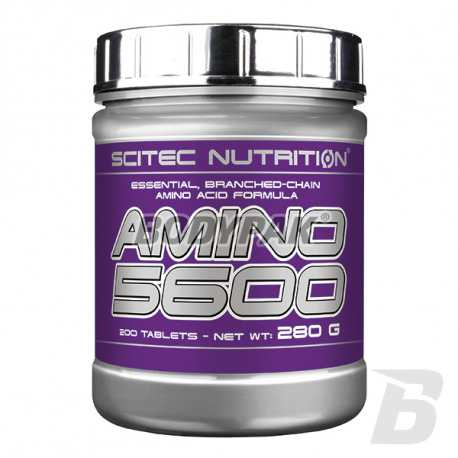 Scitec Amino 5600 also act anabolic effects, stimulate protein synthesis and are part of many hormones and enzymes. It is very important to use Amino 5600 only on an empty stomach. Due to the fact that the forms are "L" amino acid linked to peptides supplement absorbed in two different ways in different periods of time. Thanks taken on an empty stomach for longer absorbed for a long period of time completes the amino acid levels in the bloodstream. Consume one serving (4 tab.) 30 minutes before each meal. Odpowiednie uzupełnienie aminokwasów w ciągu dnia. Sprawdza się też okołotreningowo! Jak dla mnie produkt kompletny. Pucha 5600 wystarcza na bardzo długo,cenowo wychodzi bardzo dobrze,jeżeli chodzi o same aminokwasy to chwalę sobie-regeneracja znacząco na plus,mega Scitec, mega!!! The latest product based on BCAA branched amino acids (L-leucine, L-isoleucine and L-valine) in the ideal proportions of 2: 1: 1. Using this supplement you secure the most of your body against the adverse effects of catabolism. BioTech Mega Amino 3200 - 300 tabl. 100% pure pharmaceutical grade. Amino acids contained in it are derived from the highest quality whey protein isolate subjected to hydrolysis and sodium caseinate. Amix BCAA Gold - 300 tabl. Groundbreaking BCAA formula that not only protects your muscles from degradation but also help to increase muscle mass and improve recovery time! Incredibly effective amino acid composition! Comprehensive preparation of amino acids with natural plant extracts and vitamin C! Not only it protects against catabolism but also strengthens the immune system and helps regulate cortisol levels! As usual sensational taste and dissolved. Amino 20K is a supplement in the composition, which includes the most important for our body amino acids - essential amino acids and BCAAs and Citrulline Malate. Olimp Taurine 1500 Mega Caps - 120 kaps. Essential Appendix Antykataboliczy and creatine transporter - an amino acid that is not part of constituent body proteins, however, is necessary in the process of their transformation. The human body produces small amounts of taurine. High-quality amino acid formulation based on BCAA with a unique ratio of 8: 1: 1. The increased amount of L-leucine getting an enhanced strength catabolic, anabolic but also due to the characteristics of the amino acid! Freedom of titration for individual needs!